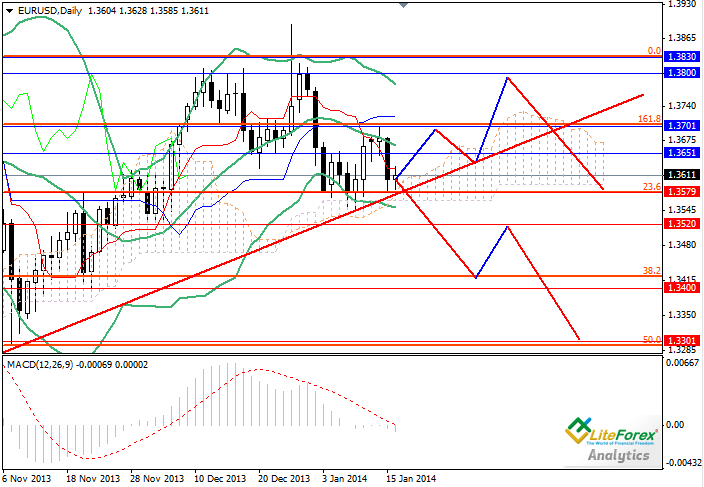 Since the beginning of this year the pair EUR/USD has traded in the wide channel of 1.3700-1.3580. The pair has made several unsuccessful attempts to break down key support level of 1.3580 amid weak data in EU inflation. In addition, the rise in the USD, which followed after the release of positive labour market statistics and favourable inflation report, has given a chance to the US Fed leaders to reduce volume of asset purchase. Today, EU consumer price index and monthly economic report will be released. The US labour market data, manufacturing PMI and consumer price index will also become known. In the medium-term European currency will continue to decline against the USD. At the end of February (beginning of March) Euro is likely to fall to key support level of 1.3300 or 50% Fibonacci line. Support levels: 1.3580, 1.3520, 1.3400 and 1.3300. Resistance levels: 1.3650, 1.3700, 1.3800 and 1.3830. 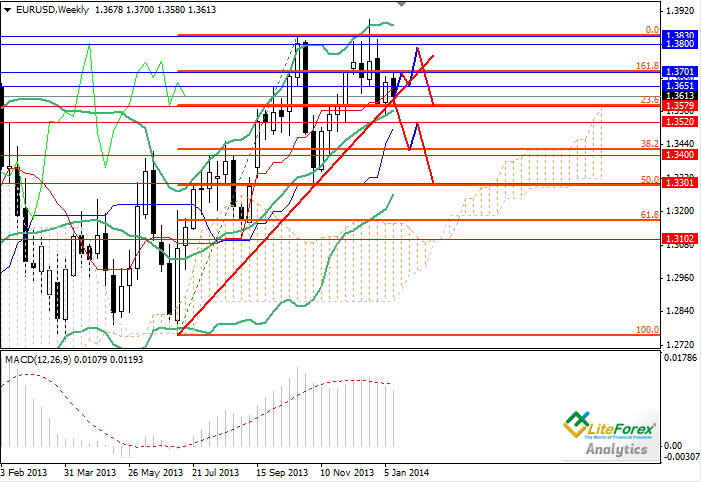 It is recommended to place short positions with profit taking at the levels of 1.3400 and 1.3300. Pending sell orders can be placed at the level of 1.3700.